Gothic Rose opens as green herbs with citrus-hued incense resins. So many incense perfumes are balsamic – they smell sticky and resinous. Le Snob No. 1 presents incense in a different way. It smells fresh, almost like the balsam used for incense while it’s being harvested from mountainous forests. The heart adds an interesting component to the herbs and resins. It’s a mix of spiced plums and thorny roses. There’s also an unexpected subversive quality from something that smells like vinyl, or maybe even latex? It definitely makes me think of shiny black (and fetish-y) patent leather or liquid latex catsuits. It’s such a weird rose in that one minute it smells like velvety rose petals and lemongrass but then when I concentrate on it, it smells like rubber and rose petals. Le Snob No. 1 dries down to a powdery white musk and leather. In a way, it makes me think of an updated, more modern Piguet Bandit. I don’t know what people expect from a “gothic rose”. This isn’t exactly a “dark rose” because it does come across as fresh, green because of those opening notes. But, to me it smells gothic…gothic in the way of fetish nights at a some industrial club with a strict enforcement of dress code at the door. It smells like perfume, latex/vinyl and the baby powder you need to get yourself into that latex/vinyl. I’d say to try this one if you like “fresh” incense or darker roses. Or perfumes like Strange Invisible Perfumes Black Rosette, Knize 10, Blood Concept O, Editions de Parfums Rosam and/or Montale Dark Purple. Out of this collection, Le Snob No. 1 is the most “unisex” meaning that it contains both traditionally masculine and feminine elements. Final EauPINION – Green herbs, green incense, latex and thorny roses. A true delight. Notes of violet leaves, rhubarb, bergamot, jasmine, rose, iris, vetiver, moss and clearwood. Launched in 2017. I saw the name and really just thought it was marketing; however, Le Snob No. II actually smells like it is vintage inspired. It opens with aldehydes and sharp, crushed greens (that were popular in a lot of 70’s scents). As it wears, it’s like a tart rhubarb rose with green violet stems and a faint fresh raspberry accord. As the name promises, there is rose. This rose is peach-hued. It’s a rose that leans green with an astringency from unripe peaches. Eventually the fragrance becomes a powdery iris-rose with moss. At this stage, it smells like traces of face powder and a chypre perfume on a coat collar. Overall, I have really enjoyed this one. I think it fits with the entire theme of this collection/collab, a collection inspired by the logo-heavy trends of the 70’s. I wear this and I feel like I should be wearing a tan trench coat, Fendi logo scarf, huge sunglasses with a brand’s logo plastered on the side and carrying a Gucci bag. It’s a fresh, clean and preppy fragrance (in the best way possible). Give Le Snob No. II a try if you like vintage green florals. Or perfumes like Van Cleef & Arpels First, Burberry Weekend for Her, Estee Lauder Aliage and/or Biehl Parfumskuntstwerke al01. Final EauPINION – 70’s rose. I love everything about it, even the glossy beige bottle. Notes of raspberry, green mandarin, beetroot, rose, iris flower, ambrette, ambroxan, musk and vetiver. Launched in 2017. 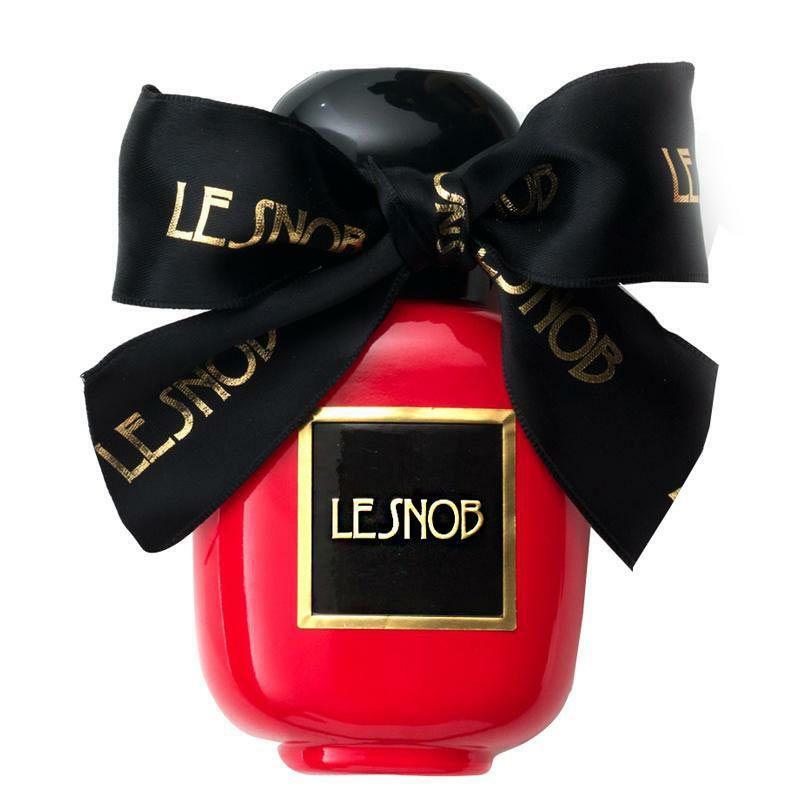 As the note list would suggest, Le Snob III is a fruity rose. It opens with a sparkle from raspberry and lychee. Paired with citrus, and I suspect some aldehydes, this reminds me of a champagne cocktail. The florals are delicate and tart. It’s mostly raspberry-scented rose petals and candied violets. It is a floral served with a sugar cube. In the background, there is an accord that hints to a golden-hued honey. The dry-down is white musk and powdered sugar. This dry-down reminds me of powder pink angora sweaters. This is one to try if you like fruity roses like Caron Délire de Roses, Viktoria Minya Hedonist Rose, Parfums de Marly Delina or Van Cleef & Arpels Feerie Rose des Neiges. Final EauPINION – Sparkling raspberry rose. I know I don’t need another thing like this in my collection, but I love things like this. Plus, the bottle is a glossy lipstick red. If you read EauMG or if you want to take a quick glance at what I’ve reviewed on this site, you can tell I have reviewed quite a few Parfums de Rosine. I haven’t tried the entire brand, but I feel like I have tried enough to have a thoughtful opinion of them. Out of everything I have tried from the house, this trio includes all of my favorites. Each of these highlights the different aspects of what I like about the brand and how they utilize rose in their scents. If you feel overwhelmed by what the brand has to offer, I recommend starting with this trio. There’s a weird rose, a vintage rose and a pretty rose. 3.4 oz bottles of these retail for $195 each at Beautyhabit. Samples are also available for purchase. 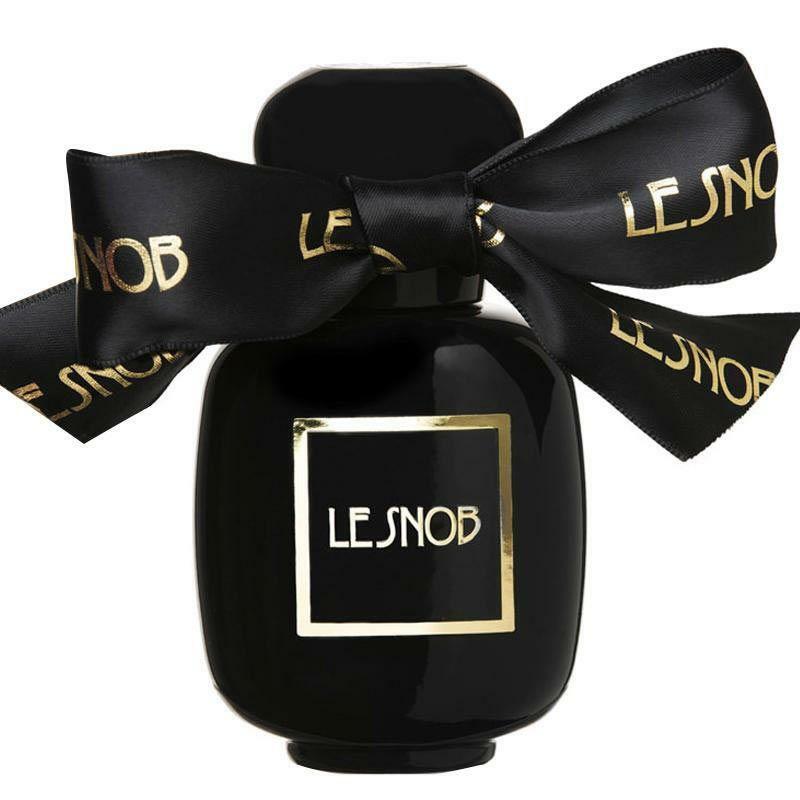 ¹ There is no relation to Le Galion Snob, a perfume from the 30’s. This collection is a collaboration with a luxury brand that playfully embraces “logomania” of so many designers by basically just being like “Hey, you want to spend money to advertise for brands? Well, you’re a snob”. *Disclaimer – Samples provided by the brand for review. I am not financially compensated for my reviews. My opinions are my own. Product pics from Beautyhabit. 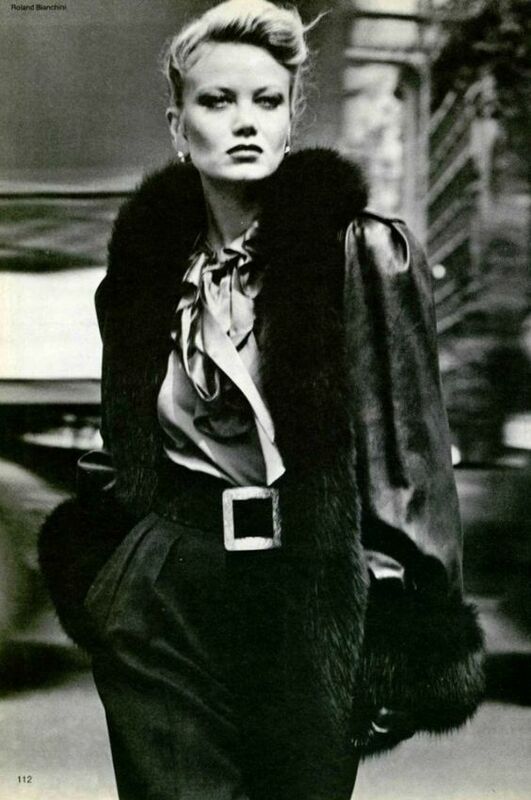 YSL 1979 pic from fanpix.net. They all sound divine. I love the red bottle. Me too. I love anything red and the glossiness makes me love it even more. Caoutchouc is unprocessed rubber; that could account for the latex-y note you’re picking up on in Gothic Rose. I know 🙂 They definitely wanted the rubber/latex to be intentional and noticeable. I just wish the beetroot in the note list of Red Rose was noticeable! For some reason I wanted a beet rose, lol.